This garden started in 2008 with the help of Dorothy White and Mary Peery. The neighbors wanted a vacant lot on the block to become a safe, beautiful, public green space instead of just another building or, worse, a haven for gang activity. 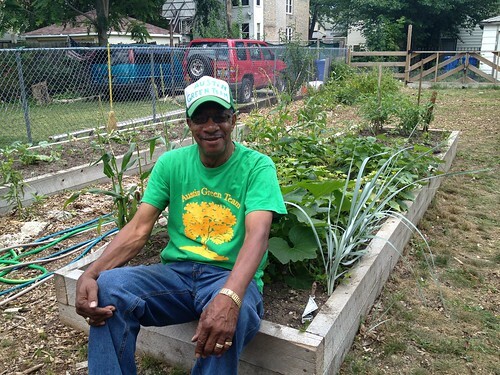 Clarence Burge and a few other neighbors garden along with the Austin Green Team. 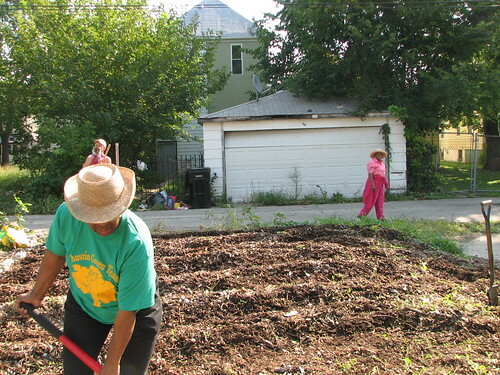 There are also volunteers from out of state that help out in the garden during the summer. Since it started it’s been a flower garden, but raised beds were recently constructed in the garden. This next growing season they will plant herbs and a few vegetable plants in the raised beds.